In this special webinar, Luxion have a look at the process of going from physical material to digital material using X-Rite scans. Sign up soon as space is limited! You can expect to see KeyShot 8.3 with updated Pantone libraries, how to use the colour library, how to use AxF files with the Measured material type, best practises and suitable materials for scanning, as well as a closing Q & A session to wrap things up. Register for this free V-Ray for Rhino webinar and learn how to build a project from scratch. V-Ray 3.6 for Rhino was developed to boost the new features of Rhino 6. It streamlines workflows, minimises render times and offers new flexibility and scalability in hardware and software use, helping to turn Rhino 6 into the ultimate design environment. In this 45-minute webinar, CG Specialist Anastasia Zhivaeva will explain the process of setting up a project in simple steps. You’ll find out the principles of creating fast, effective and efficient visualisations and she’ll show you the essential tips and tricks every V-Ray Rhino user should know. The Plant Object and Landscape Area tools in Vectorworks® Landmark are tailor made for the site design professional to create, document, and communicate solutions for projects of all sizes. This presentation will demonstrate the robust 2D and 3D capabilities of these tools, which provide you the ability to visually convey your design intent in all phases of a site’s design while still evoking your personal style. From schematic phases to design development, Vectorworks allows you to easily add plant data that directly informs and parametrically controls plant objects. Webinar attendees will be able to identify the benefits of Plant Object controls such as placement modes, including individual, hedged, or massed plantings, as well as fixed and variable settings regulating attributes such as plant height, spread, and spacing. Furthermore, whether you work in 2D or in 3D, attendees will see that new technologies also make the construction documentation phase easier thanks to customisable label styles and built-in worksheets that provide dynamic and accurate material counts as planting plans are finalised. Learn how to optimise individual and firm-wide workflows when producing design development and construction documents by using advanced plant placement settings. Understand the visualisation and analysis benefits of immediate 2D/3D representation of plants using parametric plant symbols that generate their own 3D plant graphics. Realise efficiencies gained in design development by incorporating saveable style settings subsequently used to replicate data, size and spacing preferences on plants and landscape areas. Project delivery is still dominated by the production, exchange, and use of documents to describe the scope and elements of a building’s construction. PDF is now at the heart of that mode of delivery in the larger BIM process. By pairing Vectorworks and Bluebeam, architects and their collaborators are able to leverage the best features of both platforms to provide more complete, clear, and relevant information to project stakeholders, in a format many are already familiar with. Join industry experts from Vectorworks and Bluebeam as they showcase the latest PDF features of Vectorworks Architect, the new workflow integration with Bluebeam Studio, and collaborative project workflows leveraging Bluebeam Revu. Understand the project delivery process in a BIM workflow. Discover how PDF plays a role in the larger BIM collaborative process. Describe the advantages of using PDF in the collaborative process and why it is the preferred method of communication with specific project stakeholders. Understand how to utilise PDFs throughout different phases of a project. 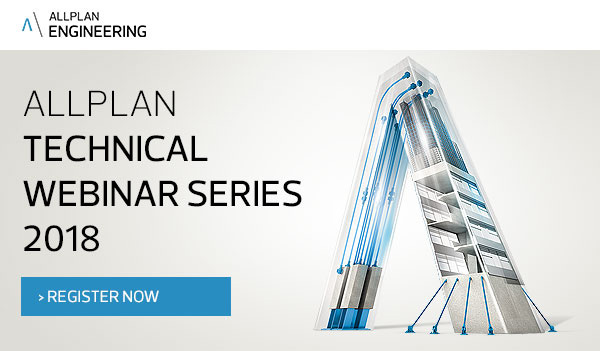 This webinar will introduce how you can easily create digital terrain models with Allplan Engineering to enable 3D design and visualisation of projects, including views, earthworks and calculations. Allplan Engineering will help you raise your level during the design stage to unlock greater project efficiencies. Integration with other design disciplines. 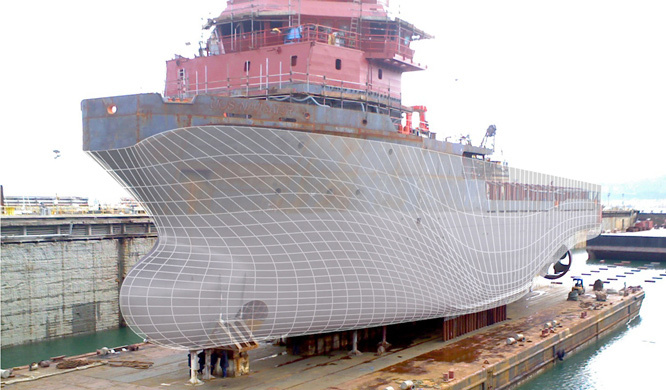 Learn more about designing a beautiful hull shape for your ship, yacht or boat with Rhino. This webinar is hosted by McNeel & Associates and presented by two naval architects from RhinoCentre. The webinar session follows the main topics of three online training modules developed by RhinoCentre. The basic idea of rapid hull modeling with loft/loose command together with ‘Record History’. A custom display ‘Glossy for Fairing’ to analyze the quality of the surface. Basic hydrostatic analysis with Rhino for fast design optimization. The creation of a lines plan based on a hull. The importance of preparing 2D AutoCAD drawings when they are used for 3D modeling and/or reverse engineering. The method for reverse engineering an accurate 3D hull from a linesplan/ laserscan etc. A new video has recently been added to the Artlantis Tutorials collection. This new tutorial explains how to embed your project into a picture taken on the building site using the Artlantis 6.5 site insertion tool. Enjoy the tutorial and don’t forget to check out the other Artlantis 6 and 6.5 tutorials here!